It would certainly not be wrong to state that Mumbai is a paradise for those who prefer travelling extensively to unveil the hidden roots of various places. They simply admire wandering in those places that have been explored by anyone as they are always on a look out to discover something new as they hold a deep relevance in their lives. Mumbai is one such city that has been into survival for a very long time. This city was known as “Bombay” pre-independence when the British monarchy was on its prowl. It has been over a decade when India’s financial capital was renamed “Mumbai.” There are a plenty of attractions in Mumbai that make this city a multi-cultural one. If you’re fond of cinema, you can experience the “Bollywood” life that is so lively and elegant. It certainly will take you on a joyride. The fantastic city of Mumbai welcomes everyone with arms wide open. Why people travel to Mumbai on a large-scale? First off, there are so many attractions that take one’s breath away and secondly, they need to rejuvenate after going through a long and exhausting day that tears their souls apart. In this case, it becomes utmost importance to them to relax to revive the lost energy. If you’re planning a family trip to Mumbai, you can avail various deals on cheap flights tickets to Mumbai. If you are looking for great deals on cheap flights from London to Mumbai, you have come to the right place. We offer a plenty of flight options that will not dig a hole in your pocket. Mumbai has a lot in its bag to offer everyone. If you are fond of nightlife, you can shake a leg at one of the most vibrant nightclubs in Mumbai. 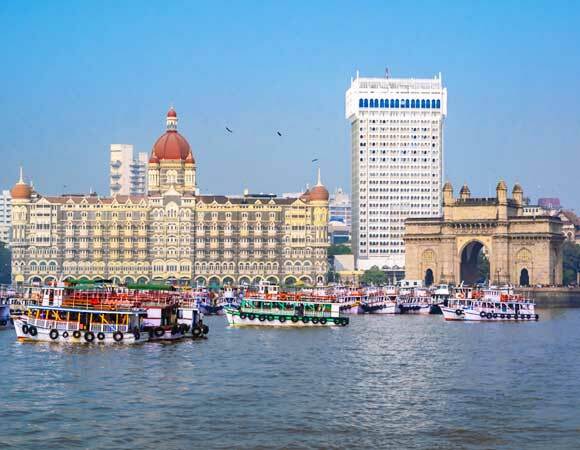 You can get a return economy class cheap flights to Mumbai for 2019 and 2020 from £381.77 including all pre-payable taxes and charges. Amazing deals on First and Business class available for tickets to Mumbai. You can easily find best deals on air fares to Mumbai on www.carltonleisure.com, however if you don’t find anything what you are looking for then our experts are more than happy to assist you by offering solutions to all your travel needs. Are you looking for accommodation in Mumbai? You might be surprised to know that getting flight ticket and hotel booked together can help you save up to 40% on your total travel expense. To know more about the deal and holiday packages feel free to contact our travel experts.